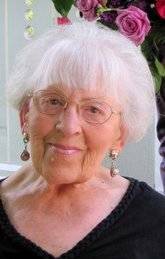 Rosemary Therese Lord, age 86, passed away peacefully on June 24, 2016. She is preceded in death by her husband John. Beloved mother of Gregory, Gerald (Mary), Michael (Terry), Karen Suleiman (Samer), and the late John. Dearest grandmother of Patrick, Eric, Kevin, Tina, Heather, Lisa, Joseph, Suzzanne, Eric, Lisa, Rene, Kenneth, Greg, Sarah, and Dorothy. She was preceded in death by her grandchildren David and Rene. Cherished great grandmother of many. At Rosemary’s request, no services will be held and in keeping with her wishes her body will be cremated. In lieu of flowers, memorial donations may be dedicated in Rosemary Lord’s name to St. Jude’s Children’s Hospital online by going to https://goo.gl/ns8JRy. Rosemary, we will always carry your memory in our hearts!